Mannheim, the second largest city in Baden-Württemberg, surprises visitors with many interesting facets. Take off in Worms and discover the Nibelungen and Luther city from a bird's perspective! VAT included. Shipping and handling included * max. 3 Pers. 30 Min. 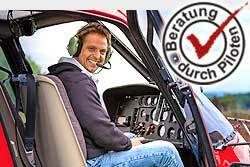 Experience with us - Mannheim from above at a helicopter flight.